Congratulations to Dr. Richard Moss, a scientist working at Pacific Northwest National Laboratory's Joint Global Change Research Institute (JGCRI), who was recently appointed to the Science Advisory Board of the National Oceanic and Atmospheric Administration, or NOAA SAB. Established in 1997, the NOAA SAB is the Agency's only chartered Federal Advisory Committee and reports to the Under Secretary of Commerce for Oceans and Atmosphere. The SAB's activities ensure that NOAA science programs effectively support the country's resource management, environmental assessment, and prediction. 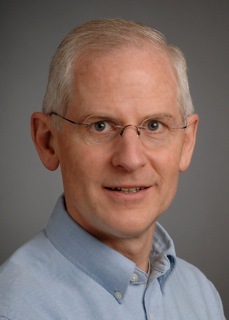 A scientist working at JGCRI, a partnership between PNNL and the University of Maryland, Moss has authored and edited scores of reports, assessments and research papers on the intersections of climate and environmental phenomena change and the response and decision-making to human vulnerability, impacts, and adaptability. He has served in numerous capacities for the Intergovernmental Panel on Climate Change (IPCC) and the US National Climate Assessment. Moss chairs the National Academy of Science's Board on Environmental Change and Society, and is a Fellow of the American Association for the Advancement of Science and the Aldo Leopold Leadership Program. He holds a Ph.D. from the Woodrow Wilson School of Public and International Affairs at Princeton University.